The Leisure tribute to Kate Bush’s Cloudbusting will be part of the K-town karaoke extravaganza next Friday at La Galerie Trois Points, Montreal. Join us and the artists behind the project at Soirée K-Town, November 30. 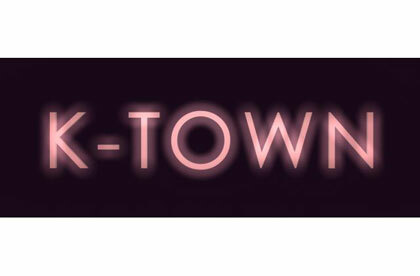 K-Town is a roving video and performance project by Luke Painter and Meera Margaret Singh that transforms gallery spaces into karaoke lounges. Inspired by karaoke culture and the often disparate and melodramatic video content that accompanies singing in karaoke bars, artists have been invited to create video and animation content to musical hits of their choosing. Echoing the current and pervasive adaptation and transformation of on-line content, K-Town irreverently takes pre-existing popular songs and asks artists to remix and respond to them using a variety of visual means. Participating artists include: Tanlinez (Alex McLeod & Luke Painter), candy coffee (Elise Victoria Louise & Alex McLeod), Edward Birnbaum and Michael Jacobs, Philippe Blanchard, Kotama Bouabane, Doug Buis, Jennifer Cherniack, Keith Cole and Julian Higuerey Núñez, Meredith Carruthers and Susannah Wesley, Elvira Finnigan, Johanna Householder, Cry School Yearbook, Faith La Rocque, Derek Liddington, Amy Lockhart, Brianna Lowe, Alex McLeod, Wrik Mead, Jenn Norton, Luke Painter, Laura Paolini, Ryan Park, Lauren Pelc McArthur, Paulette Phillips, Zeesy Powers, Geoffrey Pugen and Tibi Tibi Neuspiel, Jon Rafman, Meera Margaret Singh, Camilla Singh and Walter Willems, Jennie Suddick, Evan Tapper, Winnie Troung and Darren Rigo, Lisa Visser, Matthew Williamson, Collin Zipp.